The New York premiere of "Chasing Madoff" promises to be one of the hot-tickets at the first-ever Gold Coast International Film Festival. The documentary chronicles the compelling story of Harry Markopolos and his team of investigators' ten-year struggle to expose the harrowing truth of Bernard Madoff's Ponzi scheme that wreaked financial havoc on so many in this community. Clearview Cinemas is currently holding a giveaway on its Twitter page to win tickets to the first-ever Gold Coast International Film Festival, to be held June 1-5 in Great Neck, Long Island! Movies will be screened at Clearview Cinemas in Great Neck, Manhasset, Roslyn, New Hyde Park/Herricks and Port Washington. All Twitter followers have to do to enter is tell what their favorite movie is of all time! You can follow at: http://www.twitter.com/clearviewcinema. To learn more about the Gold Coast International Film Festival, and what films will be screened, check out the official site: http://goldcoastfilmfestival.org. Between June 1-5, some 25,000 people are expected in the various venues in the town of North Hempstead to experience an extraordinary program of some 40 films including premieres plus special events such as “Conversations With…,” intimate Q&As with notable filmmakers and “tastemakers”; Insider Industry Panels highlighting various aspects of the film and media industries; and special screenings and workshops incorporated into the Great Neck Arts Center’s arts in education outreach program. Bruce Dern is one of those major film personalities who will give the festival its cachet. He is the notable filmmaker/film personality who will be showcased at this inaugural festival in what will be an annual kickoff Tribute event. Dern, who coincidentally and most appropriately was Tom Buchanan in the 1973 remake of F Scott Fitzgerald’s “Great Gatsby”, is coming in from Los Angeles to spend an evening at Landmark at Main in Port Washington, to discuss his career and meet and greet at a reception that will follow, where he will celebrate his birthday and the receipt of the festival’s first Legend award. The President of Israel’s Academy of Motion Pictures & Sciences (the equivalent of our Oscars) is also flying in to be part of a panel, so people can talk to him about how and why the film industry in Israel has become so big and important. An event oriented around Indian film making sold out in an instant. (Tickets to festival events just went on sale May 16). During the course of the festival, there will be films from Israel, China, Iran, India, France, England, as well as the United States, with a couple of New York premieres. There will even be films with a Great Neck connection as well, including the New York premiere of “Chasing Madoff,” which promises to be one of the hot-tickets. 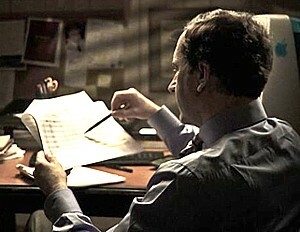 Directed by Jeff Prosserman (USA), “Chasing Madoff” is a documentary chronicling the compelling story of Harry Markopolos and his team of investigators’ ten-year struggle to expose the harrowing truth of Bernard Madoff’s Ponzi scheme that wreaked financial havoc on so many in our own community. The festival is designed to be accessible, as well, both in the “price points” of tickets, in venues and in programming. There will be screenings morning to night at Clearview Cinemas (a sponsor) in Great Neck, Manhasset, Port Washington, Roslyn, Herricks, and New Hyde Park. You can purchase a ticket for as little as $15 to one of the movies or panels, or purchase one of three packages: a Patron Gold Pass, at $250, provides access to all Festival screenings on a space-available basis and 25% discount on Festival merchandise; a Premier Gold Pass, at $500, provides access to all Festival screenings and two special events such as filmmaker panels and after-parties (you have to RSVP), Festival tote bag and 25% discount on merchandise; and VIP Gold Pass, at $1000, gets you reserved seating at select screenings, plus parties, panels, and special events, festival T-shirt and tote bag and discount on merchandise. Senior citizens get a discount, too. The Long Island Railroad, one of the festival sponsors, is enabling patrons to get a discount on the film tickets by showing their railroad tickets. This is really a community wide event, with the town and local communities linking up their own events, making the festival, well, more festive. The Village of Great Neck Plaza, where the Great Neck Arts Center is located, is holding its annual Great Neck Plaza Restaurant Week May 29-June 5 (visit www.shopgreatneck.com), and scheduled its wonderfully festive Promenade Night on Middle Neck Road for June 2. On June 4, the Town of North Hempstead is hosting KidStock 2011, an open-air family festival featuring a musically entertaining blend of folk, rock, “kid hop” and “kindie rock” that parents and their kids can participate in together (Noon – 5pm at North Hempstead Beach Park). Also on June 4, there is a “Cinema By the Bay” screening of The Karate Kid at 8:30pm at the Town of North Hempstead Dock (347 Main St, Port Washington). On June 5, Port Washington is holding its 21st Annual HarborFest, with Craft Fair, entertainment, Wells Fargo stagecoach rides, Children’s Fun Park, Enviro-Expo. (Port Washington Town Dock). Area hotels are getting involved, including the Inn at Great Neck, the Andrew in Great Neck Plaza, and the Roslyn Claremont which have allocated rooms during an otherwise busy season. Get full schedules and order tickets at www.goldcoastfilmfestival.org. Roslyn Harbor, NY — On Saturday, September 25, 2010, Nassau County Museum of Art (NCMA) will participate in the 6th annual Museum Day, presented by Toyota on behalf of the redesigned 2011 Avalon. NCMA will join participating museums and cultural institutions nationwide to open doors free of charge to all visitors who download the Museum Day Ticket from Smithsonian.com. A journey to celebrate our world’s dynamic heritage and cultural life, participating Museum Day venues emulate the free admission policy of the Smithsonian Institution’s Washington, D.C.-based facilities. Museum Day 2010 is poised to be the largest to date, outdoing last year’s record-breaking event. Over 300,000 museum-goers and 1,300 venues in all 50 states, the District of Columbia and Puerto Rico participated in Museum Day 2009. Last year, two million visitors logged on to www.smithsonian.com/museumday to learn more about the program. 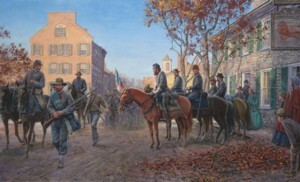 September 25, 2010 is opening day for For Us the Living, NCMA’s major presentation of Civil War paintings by Mort Künstler. The exhibition portrays the sights, feelings and drama of the Civil War. Considered by many to be the leading contemporary painter of Civil War scenes, Mort Künstler’s work is esteemed for its dramatic intensity and for an extraordinary level of authenticity that results from intensive research. The exhibition consists of approximately 50 paintings and a selection of documentary objects including a first-time-ever look into Künstler’s creative process through sketches, drawings, preliminary studies, photographs and props. Many of the paintings are from Künstler’s own collection, others are from various private and public collections. This year, Toyota will enhance the Museum Day experience both in Smithsonian magazine and online, with elements like the “Featured Five,” a listing that encourages visitors to learn about and visit participating museums and venues. Additionally, for each visitor who inquires about the new Toyota Avalon online, Toyota will donate $1—up to $10,000 total—to museum programming nationwide. The Museum Day Ticket is available to download at www.smithsonian.com/museumday. Visitors who present the official pass will gain free admission for two people to participating museums and cultural venues. One ticket is permitted per household, per email address. Listings and links to participating museums’ and sponsors’ sites can be found at www.smithsonian.com/museumday. Ranked among the nation’s most important suburban art museums, Nassau County Museum of Art is located 20 miles east of New York City on the former Frick Estate, a spectacular 145-acre property in Roslyn Harbor in the heart of Long Island’s fabled Gold Coast. The main museum building, named in honor of art collectors and philanthropists Arnold & Joan Saltzman, is a three-story Georgian mansion that exemplifies Gold Coast architecture of the late 19th century. In addition to the mansion, NCMA, which receives nearly 200,000 visitors each year, includes the Art Space for Children, the Sculpture Park, the Formal Garden, rare specimen trees, marked walking trails and the Art School where an extensive array of beginning to advanced art classes are held for all age groups. Nassau County Museum of Art is located at One Museum Drive (just off Northern Boulevard, Route 25A, two traffic lights west of Glen Cove Road) in Roslyn Harbor. Hours are 11 a.m. to 4:45 p.m. Tuesday through Sunday. Docent-led tours of the exhibition are offered at 2 p.m. each day. There is a $2 parking fee on weekends (no charge to members). The Museum Gift Shop is open during museum hours. Grace’s Café is open Tuesday to Sunday, 11 a.m. to 4:30 p.m.
Smithsonian Media comprises Smithsonian magazine, Air & Space, goSmithsonian, Smithsonian Media Digital Network and the Smithsonian Channel. Smithsonian Media’s flagship publication, Smithsonian magazine, is one of the nation’s largest magazines with a circulation of more than 2 million and nearly 7 million readers. Smithsonian Media is a division of Smithsonian Enterprises, the revenue-generating business unit of the Smithsonian Institution. The Smithsonian Institution is the world’s largest museum and research complex consisting of 19 museums and galleries, the National Zoological Park and nine research facilities. Approximately 30 million people from around the world visited the Smithsonian in 2009. About Toyota Motor Sales, U.S.A., Inc.
Toyota Motor Sales (TMS), U.S.A., Inc. is the marketing, sales, distribution and customer service arm of Toyota, Lexus and Scion. Established in 1957, TMS markets products and services through a network of more than 1,400 Toyota, Lexus and Scion dealers. Toyota directly employs more than 34,000 people in the U.S. and sold more than 1.77 million vehicles in 2009. For more information about Toyota, visit www.toyota.com. trap at the Watch Hill employee housing area. immune system is impaired. Such people are advised to stay away from areas with mosquitoes. human cases of WNV have been documented in Nassau and Suffolk counties this year. No WNV-infected dead birds have been found this year in Fire Island National Seashore. Control (CDC), the New York State Department of Environmental Conservation (DEC), Suffolk County Vector Control, and local Fire Island and Long Island municipalities to determine the best course of action to protect residents, visitors and employees of the Seashore. When threats to human health (such as the presence of West Nile virus) occur, actions to protect the public may include control methods such as applying larvicide or spraying. The public will be notified 24 hours in advance of any spray event. where West Nile virus has been detected. Encephalitis (EEE) from an infected bird to humans and other animals. possibly affecting fish and other species living in the wetlands. minimize adverse impacts on fish and wildlife species or groundwater. health department. Information can also be obtained from the CDC, New York State or Suffolk County WNV web sites, or one of the park visitor centers. monitoring program, visit the park’s web site: www.nps.gov/fiis.